The home buying process has a lot of moving parts. Before even getting into the actual process of buying the home you must find an agent and locate your dream home. Locating an agent is the very first step and perhaps the most important to make sure your home buying journey is successful. This article assumes a buyer is already qualified with a lender so we won’t be discussing that process here. When looking for an agent to buy or sell a home you’ll want to make sure that they will work well with you. Consider hiring an agent that is quick and efficient with follow-up, good with communication and tech savvy. An agent that is tech savvy will likely have an edge over other agents and their ability to find you the perfect home before other buyers see it. Test the follow-up on the agent before you hire them, call and email them and see how quickly they get back to you, granted many agents are busy but if you don’t have a response the same day, move on. Once you’ve hired an agent you’re ready to begin looking for homes. 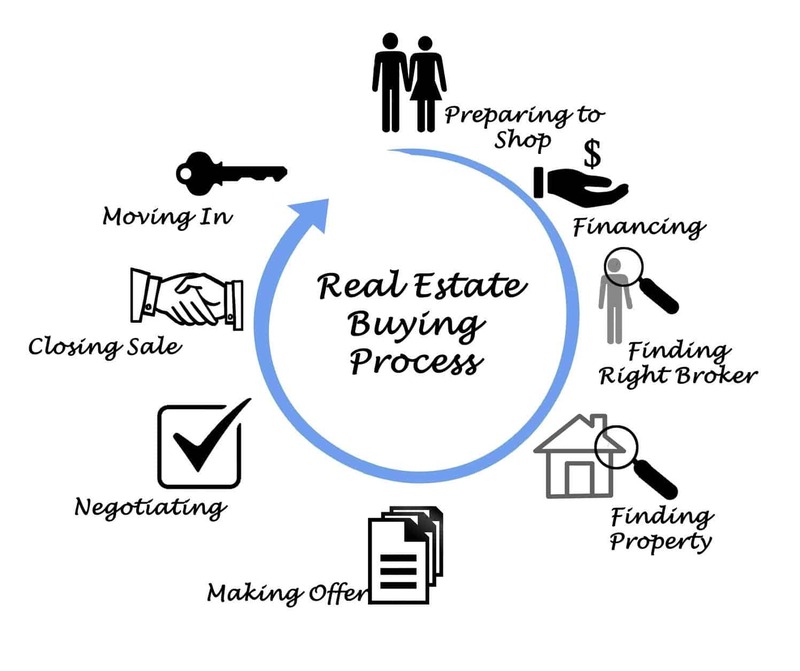 The process of buying a home, your perfect home begins with the information you share with your agent. You’ll need to let your agent know exactly what you’re looking for; beds, baths, square footage and location so the agent can begin their search. As mentioned if your agent is tech savvy they’ll figure out ways and likely already have things in place to help automate the search process for you. We’ve made it easy to be notified of new homes on the market with our listing alerts available right to your email, sign up for free now to search for homes and receive those alerts daily! If you’re agent doesn’t have the automation of listing alerts or the tech ability to send those emails to you when new homes hit the market then it might be time to find an agent that’s not stuck in the 80’s! Now let’s assume you’ve looked at some homes and have finally found the perfect one, you’ve also written and negotiated the offer. Now we move to the closing process, also called settlement or escrow. During the home buying process you’ll encounter an escrow company which is the neutral party to collect title, lien and payoff paperwork as well as many other behind the scenes items. At the same time, your agent will also assist you with scheduling any inspections you’d like to have done. Normal inspections that a buyer will have done are a termite inspection, home inspection, roof inspection and HVAC inspection. Depending on the results of the home inspection, other inspections may be needed to properly evaluate the condition of the home. Once all inspections are done you’ll have reports of what condition the property is in. Your agent and you will discuss those reports and establish what if any items you’d like to have repaired. Don’t be nervous there’s no such thing as a home in perfect condition. With inspections many times comes repair requests which once discussed with your agent will be sent to the seller’s agent for review and acceptance, rejection or countered terms. After all repairs have been successfully negotiated and escrow is ready to be closed, no more than 3 days prior to closing you’ll want to do a final inspection with your agent. Final inspections, also known as a final walk through allows a buyer to confirm the property is in the same shape it was when they made their original offer and confirm that negotiated repairs have been completed. Some agents overlook this tidbit in the end but it’s a critical step to make sure what you’re buying is what you’re getting. The old saying “inspect what you expect” holds true here. All that’s left to be done is the recording of your deed, once you receive notification from your agent or the escrow company that “you’ve recorded” then the home is yours! For more information on the home buying process, please contact us or leave a comment below. We’d appreciate the opportunity to assist you!